Alfalfa Hay, Medicago Sativa, also known as Lucerne hay or Lucerne grass, is one of the most important forage crops cultivated in agriculture. It is widely grown throughout the world as forage for cattle and is typically harvested as hay. Alfalfa has the highest feeding value of all commonly grown hay crops. 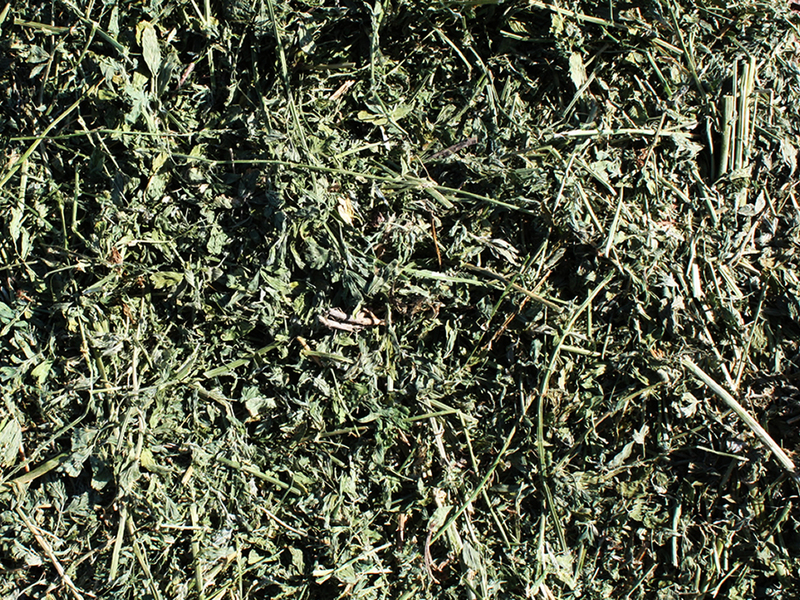 When grown on well-adapted soils, alfalfa is the highest yielding forage plant. Alfalfa Hay is used primarily for dairy cattle but is also fed to beef cattle, horses, sheep, goats and camels. 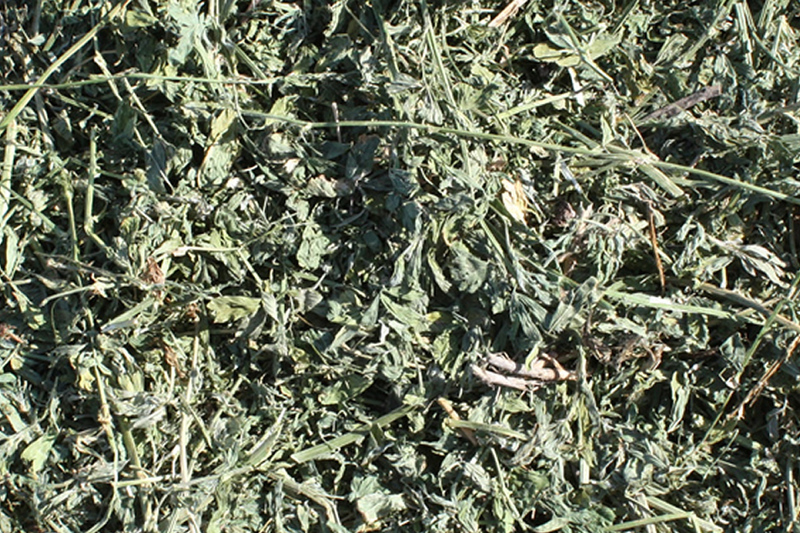 One of the most important characteristics of alfalfa is its high nutritional quality as a “complete” animal feed. Alfalfa contains between 15% to 23% crude protein, as well as an excellent source of vitamins and minerals. California has the highest amount of cultivated alfalfa acres within the United States. This is primarily because of the large amount of farmland needed to satisfy the big demand from dairy farms, feedlots, and the horse market. Harvest starts in the Southern California Desert region in early March followed by the Central and Northern California growing areas in April. The harvest concludes in late fall. 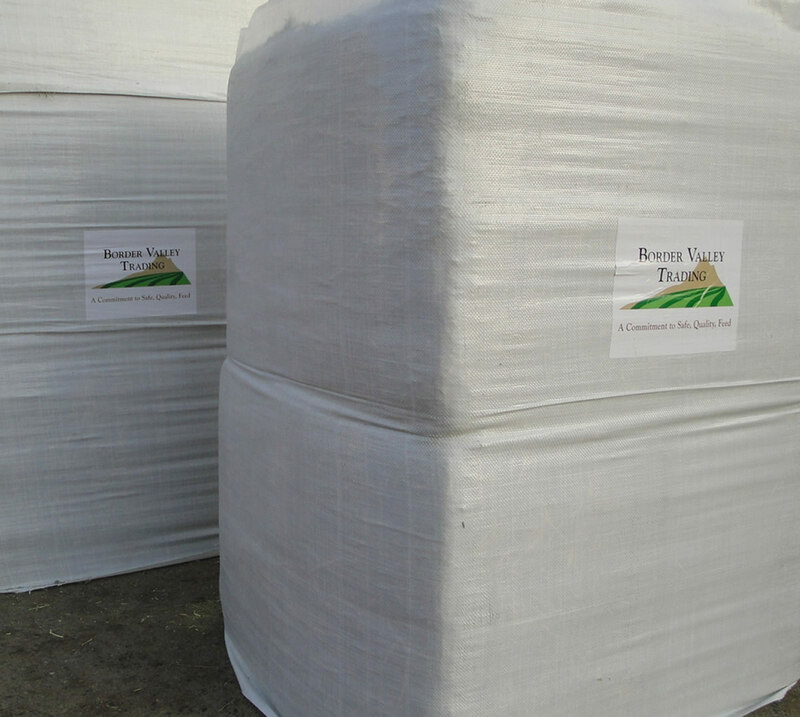 With our two export operations (Brawley in the Imperial Valley and Turlock in the San Joaquin Valley) strategically located in high alfalfa production areas, Border Valley Trading (BVT) has the ability to supply all types of alfalfa that will meet the needs of our customers. 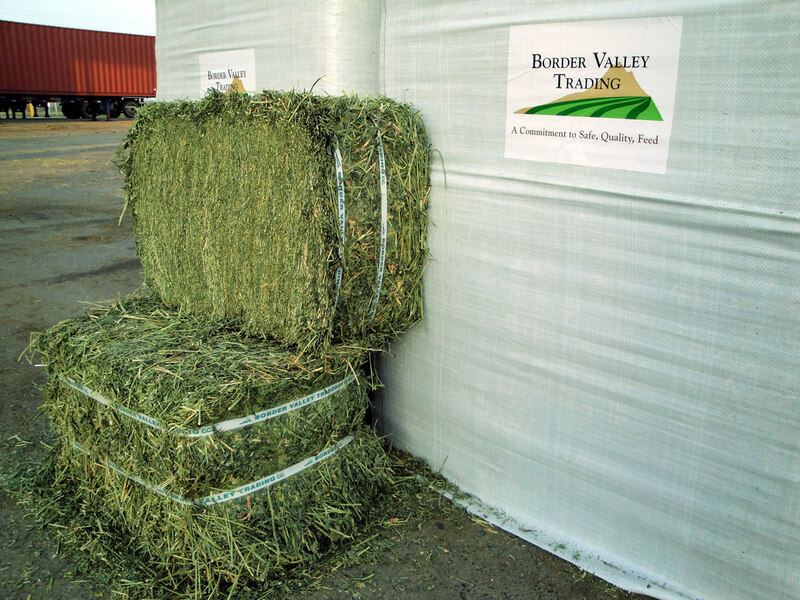 BVT can also secure hay grown in Arizona, Utah, Nevada, as well as Southern Oregon. BVT alfalfa grading is based on a visual inspection, physical description and a nutritional analysis from a NFTA (National Forage Testing Association) approved laboratory. All NFTA approved sampling and testing procedures are followed. 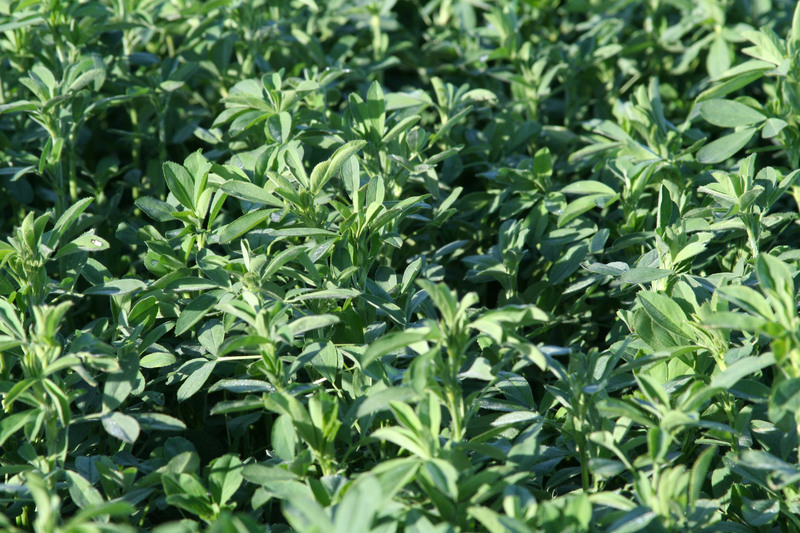 Color, stem size, leafiness, texture, and purity are also considered when grading alfalfa.